If your students read this influential American novel, below are some ideas for incorporating primary sources from the Library of Congress into your novel study unit. From Megan Kohlman, a Library Media Specialist at Augusta High School in Augusta, Kansas. I explained to students what a primary source is and went through the steps for Analyzing Primary Sources using the Library’s Primary Source Analysis Tool. 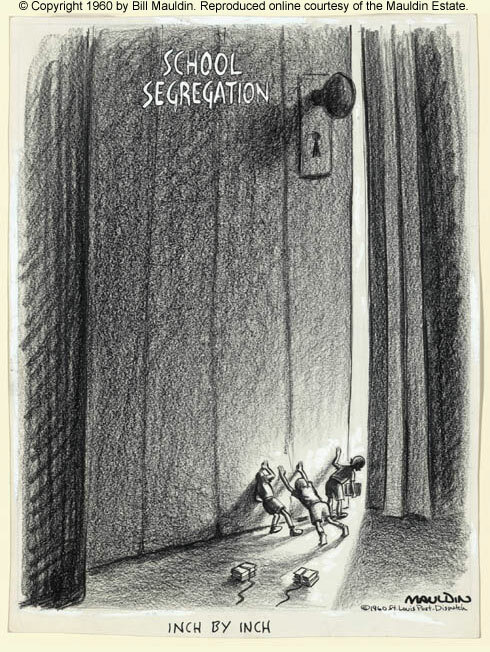 We looked at a few examples of Jim Crow laws, then I modeled a primary source analysis using the 1913 political cartoon. I divided the class into four groups, which enabled students to bounce ideas and thoughts off each other as well as opportunities to disagree about pieces and what was going on in the sources and what was important. Each group met at a station with a number of resources of the same type (political cartoons, images, personal histories, examples of laws), blank copies of the primary source analysis tool and a copy of the corresponding Teacher’s Guide. The guides really helped students get the conversation going. Each group chose one primary source to start with, and analyzed it together. After about 10 minutes, they rotated, having a turn at each station. Ten minutes was a good start for the students, but it would have been wonderful to have more time, at least 15 minutes, for them to really delve in. 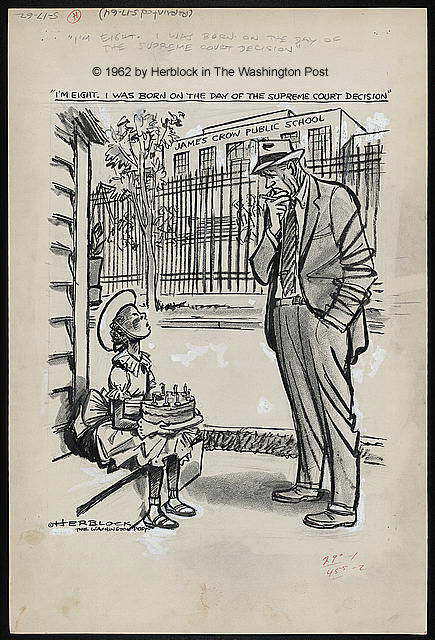 From Kathleen Prody & Nicolet Whearty via the Library of Congress Lesson Plans page. Students gain a sense of the living history that surrounds the novel To Kill a Mockingbird. Through studying primary source materials from American Memory and other online resources, students of all backgrounds may better grasp how historical events and human forces have shaped relationships between black and white, and rich and poor cultures of our country. This unit guides students on a journey through the Depression Era in the 1930s. Activities familiarize the students with Southern experiences through the study of the novel and African American experiences through the examination of primary sources. 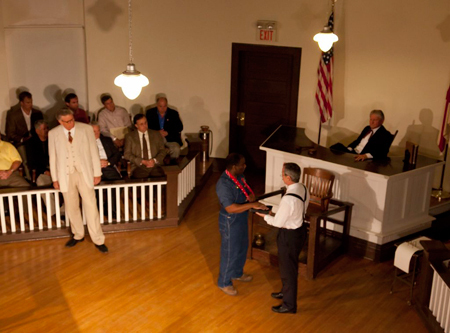 Use this set of images from scenes from the play “To Kill A Mockingbird”, performed in Monroeville, Alabama in 2010, to investigate how scenes from the text were interpreted on stage. Read how the U.S. House of Representatives and U.S. Senate paid homage to Harper Lee’s novel.